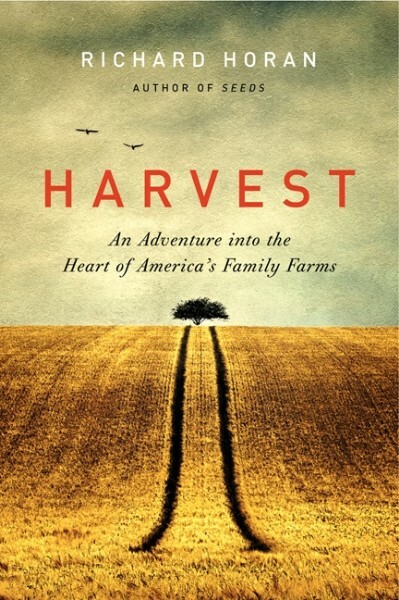 Richard Horan, award-winning novelist and avid nature lover, examines the culture of America's organic family farms, from Maine potato farms to Cape Cod cranberry bogs, in his most recent book Harvest: An Adventure into the Heart of America's Family Farms (HarperCollins). He is also the author of Seeds: One Man's Serendipitous Journey to Find the Trees That Inspired Famous American Writers from Faulkner to Kerouac, Welty to Wharton (HarperCollins), a personal account of his journey to gather seeds from the trees that grace the grounds of America's most respected authors. He has spoken to audiences at colleges, libraries, and museums about the environment, his family, and the importance of historic preservation. While writing Harvest, Horan embarked upon an adventure across America, in search of connections with the farmers, the soil, the seasons, and the lifeblood of America, only to conclude that farming is still the vibrant beating heart of this country. Horan takes his audiences on an eye-opening and unforgettable transformational journey across the length and breadth of this remarkable land, offering a powerful national portrait of challenge and diligence, and an inspiring message of hope. 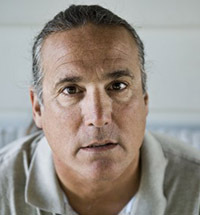 Horan's novel Goose Music was a finalist for the Great Lakes Fiction Award and won the ForeWord Book of the Year Bronze Medal. In addition to his writing, Horan has had a colorful career, traveling as a professional middleweight boxer, teaching English overseas in Belgium and South Korea with the Department of Defense, and working as a nurse's aide in a Wisconsin mental hospital. It was this experience that led to his first novel, Life in the Rainbow . The book received praise from NPR's All Things Considered, The New York Times, The Boston Book Review, The Christian Science Monitor, Publisher's Weekly, The Kirkus Review, The Stamford Advocate, and more. Horan has spent the past twenty years teaching English in the Wisconsin and New York State public school systems and currently lives in Oswego, NY. He and his wife, a professional jazz vocalist, have two grown daughters and spend their time working as family-care providers for cognitively disabled adults. "Seeds reads like the best of a roundtable discussion amongst John Muir, Bill Bryson, and David Sedaris. From the fields of Gettysburg to the home of Kerouac, Horan takes an unlikely premise and weaves it into a story that's poignant, insightful and unexpectedly humorous. This is more than a book about seeds -- it's about literary heroes, forensic forestry, and self-discovery."